To start the probate of a will in Michigan, you must file the will, which initiates the court proceedings necessary to formally appoint you as a personal representative to settle the deceased's estate. You must file the will in the correct county, which is usually the county the deceased lived in when he died, or in the county where he owned real estate. In Michigan, to file the will and the application for informal probate, you need the official proof of death, such as the death certificate, plus the original will and any codicils. You may use an authenticated copy of the will, along with any codicils, such as copies that a probate court from another county has stamped, if you no longer have the originals. Make a list of the will's beneficiaries and any legal heirs of the deceased. Persons named in the will are beneficiaries, and blood or adopted relatives named in the will are heirs. Use due diligence to locate the addresses of the heirs and devisees. You must list the names and current addresses of all will beneficiaries and the deceased's living heirs on the Michigan probate application. Use all resources you have available to locate all the other people you need to find. If you run into trouble finding or identifying beneficiaries or relatives. For example, speak to close friends and known relatives of the deceased to get more information about possible relatives. Under Michigan law, you're legally obligated to identify and locate all heirs and beneficiaries. Visit the probate court of the Michigan county where you're filing. Bring the heir and beneficiary list, the death certificate, the will and any codicils. Ask the clerk for the forms you need to file the will for probate, namely the Notice of Intent to Request Informal Appointment of a Personal Representative, and also the Application for Informal Probate And/Or Appointment of Personal Representative. Complete the application. You need the deceased's name, birth date, death date, the last four digits of his Social Security number and his address at time of death. You'll also need the names and addresses of any heirs and will beneficiaries, the date of the will, and information about all personal representatives named by the deceased in the will. Sign and date the application. Attach the proof of death, the will and any codicils to the application. Complete the Notice of Intent to Request Informal Appointment of a Personal Representative. You'll need to enter the deceased's name and your name. Sign and date the notice. File the notice and application with the will and other documents attached. Pay the filing fee. Fees vary, according to the specific Michigan county. Michigan Legal Aid: Do You Really Want to Avoid Probate? In Pennsylvania, an executor is the person named in a will to administer the deceased's estate. The only way to become an executor of your relative's estate is to be the person named in the will. However, the person named as executor in the will must ask a probate court to name her as the personal representative of the deceased for the purpose of administering the estate. A copy of a probated will is useful for a variety of reasons, including family tree research, property title research, and preparing for a legal challenge to the original probate proceedings. 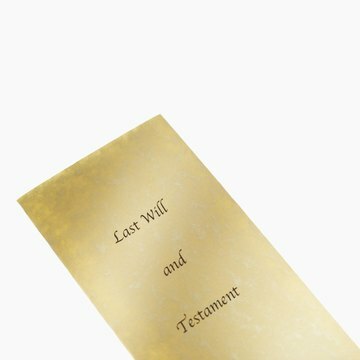 Once a will has been through probate -- the legal proceeding to settle the estate -- the will is considered public record. You can get a copy of a probated will by visiting the court where probate occurred.